Student teams will be introduced to the phenomenon of how water can rapidly change the environment. They will observe how engineers reduce the impact of flooding events with materials that can absorb and channel water. At the end of this challenge students will be able to assess the ability of classroom materials to stop the movement of water. Student groups will devise and test a flood prevention system to stop water from reaching a castle, using 3D printed models. K-2-ETS1-1 Ask questions, make observations, and gather information about a situation people want to change, to define a simple problem that can be solved by developing a new or improved object or tool. K-2-ETS1-3 Because there is always more than one possible solution to a problem, it is useful to compare and test designs. 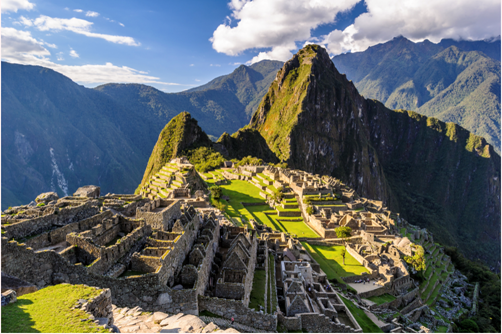 Machu Picchu was a city built long ago in a kingdom called the Inka Empire. The city was built in a challenging place, on top of a mountain in the middle of a jungle. It rains a lot in the jungle. The rain was very dangerous for the people of Machu Picchu because it could flood the buildings and cause the ground to move. But the people of Machu Picchu created a way to protect their city. Inkan engineers moved flood water away from the city using stone tubes. When we move water in this way, it is called channeling water. 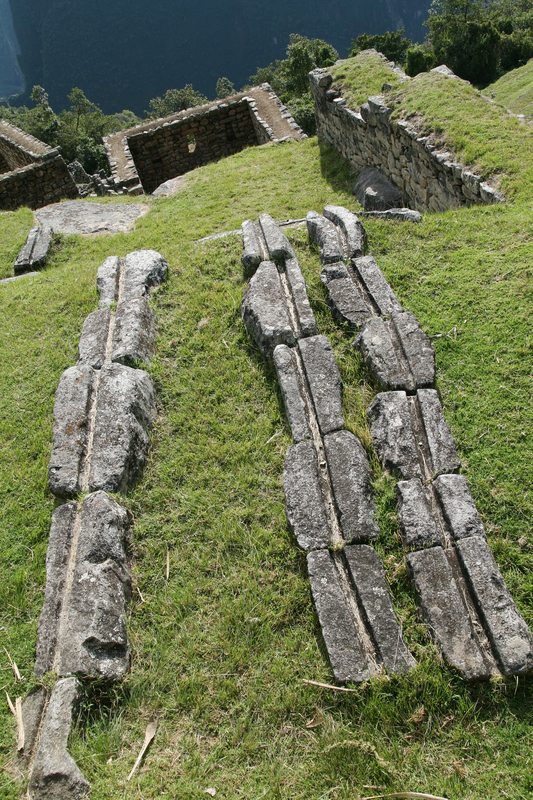 Inkan engineers also made terraces, which look like long steps made from dirt and rocks. The terraces absorbed the water and stopped the ground from moving when it got wet. 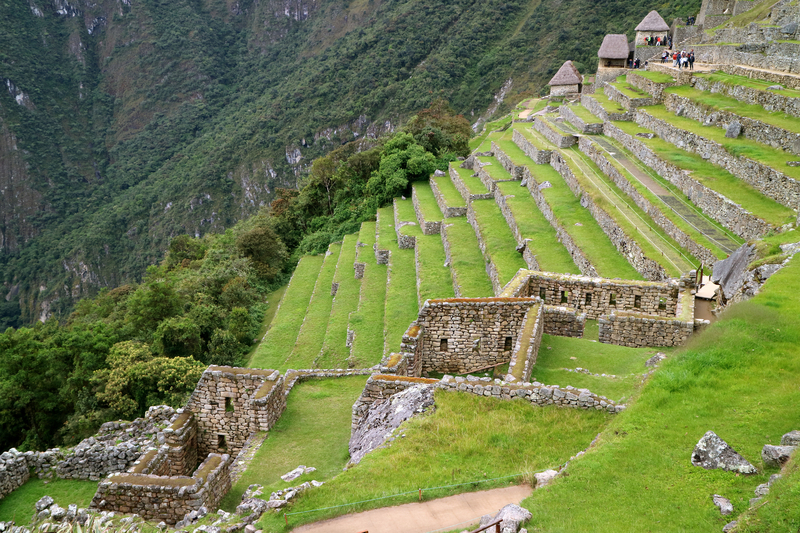 The engineers of Machu Picchu were so good that you can still see their terraces and water channels today. The Great Inka Road: Engineering an Empire is an exhibition of the Smithsonian National Museum of the American Indian. Download the Smithsonian Castle Pan STL file. Download the Smithsonian Castle STL file. Start a new project and Import the Smithsonian Castle Pan Model and the Smithsonian Castle Model. Approximate about 12 hours of printing time. Teacher Tip: Some students may want to substitute one material for two of another. We recommend bringing extra materials so students can swap out materials. The Design It! stage is separated into two sections. In Part 1, students will assess each of the four materials: Popsicle sticks, cotton balls, sponges, and rocks or gravel. Students will record whether each material absorbs or channels water. They will assess how well each material stops water. In Part 2, students will plan a flood prevention system using the four materials. They will sketch out their plan and share it with their student group. Students will record the qualities of the four materials: Do they absorb or channel water? Student groups will place one material onto the pan and test its efficacy by pouring a 4-ounce cup of water down the ramp. Students will rate the material’s efficacy from 1 to 5 (where 1 is the best rating and 5 is the worst rating). How well did the material stop water?. Encourage students to start thinking about how they would combine the materials into a system that can best protect the castle. Students can select up to four materials for their flood prevention system. Students do not need to select one of each material, but they should select at least one type of material that channels water and one type of material that absorbs water. Students will sketch their flood prevention model on their worksheet. The Test It! stage is separated into two sections. Student groups will discuss and build one flood prevention system. In Part 1, student groups will record the results of the sets of materials they use in their system. They will record whether their system was successful or not. Students have space to record multiple attempts. In Part 2, the teacher will ask students what other materials might be used to absorb or channel water in their local community. Student groups will discuss their model ideas and work together to develop one flood prevention system, and will build it on the Castle Pan model. The system can use up to four materials. There must be at least one material that can channel water and one that can absorb water. Group members will record their predictions about whether their system will work or not. Teachers will ask students for specific reasons why think their system will or will not work. Students will pour 1/4 cup of water down the ramp on the Castle Pan model. Students will record whether their system was successful in protecting the castle. Students can adjust their systems and try to save the castle in a second attempt. Students will record their predictions and the results. Teacher will ask students to list other items that can absorb or channel water. What materials might work in real life to protect buildings in their community? After students have listed a few examples of other materials, they will share their thoughts with the class. What materials absorbed the water well? What materials channeled the water well? To prevent flood waters from reaching a building, what materials would you use to protect the building? Would those materials absorb water or channel water?